Iceland is an impressive and beyond beautiful country. It’s nestled far out in the North Atlantic, 700 miles east of Greenland. It’s located directly where the North American and European tectonic plates collide, boasting one of the most active volcanic regions anywhere. Paired with the nutrient-rich Gulf Stream, as it skirts its dramatic shorelines. This also provides a haven for sea life for Iceland’s traditional commercial fishing industry, and now ecotourism. Its rare combination of elements makes it an amazing geological and natural paradise. It’s a place every serious landscape photographer should put on his or hers to go list at least once in their lifetime. Iceland’s remote backcountry is at the heart of a truly magical photographic experience there. Amazing landscapes vistas abound at every turn. Preparing for a photo expedition in Iceland can take some planning to get it right. That is if you want to get past the selfie- stick” tour bus crowds headed to heavily promoted and heavily visited Golden Circle tourist routes. This route is tailored to provide a quick glimpse to what this country really has to offer within. To explore the magic within, you first need a qualified guide service. One that’s not only skilled in some rather specialized photographic techniques, but also one that is familiar with working in Iceland’s ever-changing environment. 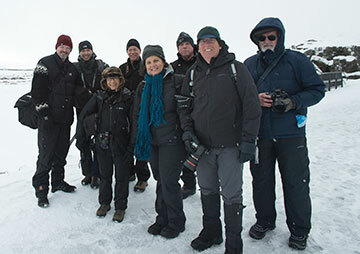 A good Icelandic photo tour outfit uses local Icelandic guides exclusively. One that knows every local person in every location on any chosen route, from the smallest back country villages and beyond. Family connections run deep and venture far in Iceland. This is key to a safe and fruitfull photograpic expedition. No matter what time you plan your visit to Iceland, summer fall or winter, expect to experience sun, rain, snow and ice. Proper clothing is the key! All three seasons can be accompanied by extremely high winds. All these conditions can occur within a short period of time. Weather systems arrive and move through quickly, as with any island environment. This very fact provides the most amazing photographic opportunities not found anywhere else on earth when combined with amazing geology! This is not meant to put you off, as expeditions to Iceland is our business. But it’s only a reminder, if you decide to explore beyond the Golden Circle tourist routes. Please make sure you do it with a qualified guide service that users native Icelandic guides, one that’s versed in what the landscape photographer is looking for and not on your own. 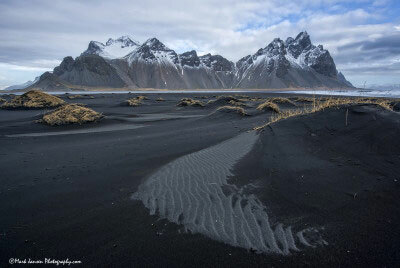 Join us on one of our upcoming small group Iceland Photo Expeditions. Iceland is not to be missed if you’re a dedicated landscape photographer!